CAMBRIDGE, ONTARIO--(Marketwire - Jan. 20, 2011) - Editors Note: A photo for this release is available via Marketwire's website. Canada's Economic Action Plan is delivering real results for Ontario malt barley farmers and processors. 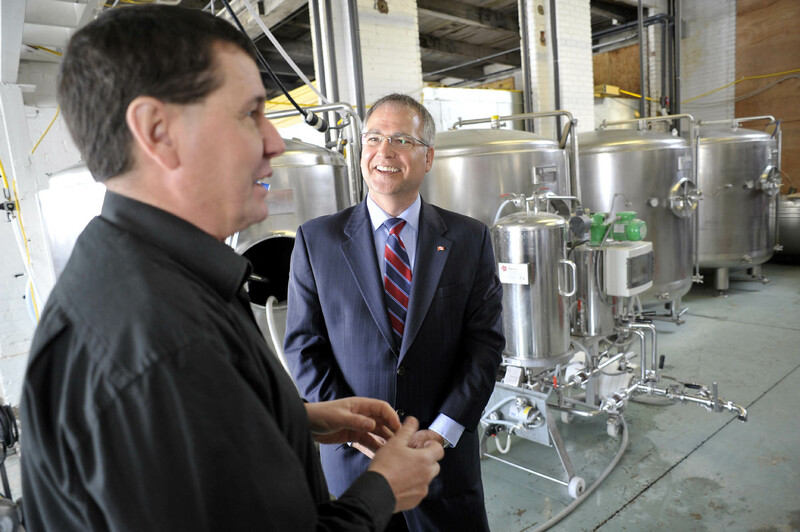 Minister Gary Goodyear (Minister of State - Science and Technology, Federal Economic Development Agency for Southern Ontario) announced today, on behalf of Agriculture Minister Gerry Ritz, an investment of more than $68,000 to Grand River Brewing to improve its processing equipment, allowing the company to increase productivity. "Canada's Economic Action Plan is helping Grand River Brewing purchase the equipment they need to improve their productivity, increasing the annual demand for Canadian malt barley," said Minister Goodyear. "Increased production and sales means more opportunities for farmers to get their product to market." This repayable contribution will be used by Grand River Brewing to purchase and install a new bottling line and fermentation tanks at their Cambridge facility. This new equipment will replace a semi automatic process, increasing the company's production ability, and creating jobs for the people of Ontario. The fermentation tanks are also more effective and energy efficient. "The AgriProcessing Initiative loan has permitted the brewery to purchase a new automatic bottling line and labeller to replace the original manual two bottle filler," said Robert Hanenberg, President of Grand River Brewing. "The company will no longer be faced with issues of product shortages, which has been a major problem in the past. Retail sales have increased markedly since the introduction of the new line in September 2010." This investment is being delivered by the AgriFlexibility fund through the AgriProcessing initiative, a five-year, up to $50 million initiative designed to enhance the competitiveness of the agri-processing sector in Canada. It provides support to existing companies for projects that involve the adoption of innovative and new-to-company manufacturing technologies and processes that are essential to sustaining and improving the sector's position in today's global marketplace. For more information, please visit www.agr.gc.ca/api. Canada's Economic Action Plan continues to help farmers with its focus on strengthening the economy and creating jobs. Investments in viable market opportunities will help build an even stronger agriculture industry and Canadian economy. For more information, please visit www.actionplan.gc.ca. Minister of State Gary Goodyear (right) and brewer Rob Creighton share a laugh while touring the Grand River Brewing Company in Cambridge, Thursday, January 20, 2010.